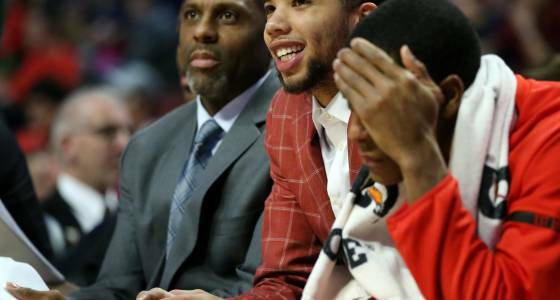 The Bulls announced Michael Carter-Williams didn't travel to Cleveland because of patellar tendinitis. Carter-Williams joins Paul Zipser, who has left ankle tendinitis, in Chicago. Carter-Williams surprisingly started over Jerian Grant in Friday's overtime victory over the Suns but played only eight minutes. LeBron James missed the Cavaliers' Saturday morning shootaround with an illness and is questionable to play. The Bulls own a three-game win streak.